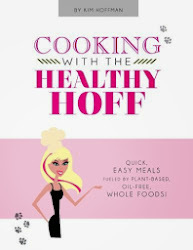 The Healthy Hoff: Hoff Hit: Carbs Not The Bad Guys After All! Carbohydrates are not the evil nemesis making you fat. Actually, carbs are the body's primary fuel source and more than that, they are responsible for managing your heart rate, digestion, breathing, exercising, walking, and thinking. However, not all carbs are created equal - choose whole grain, unprocessed over refined carbs.